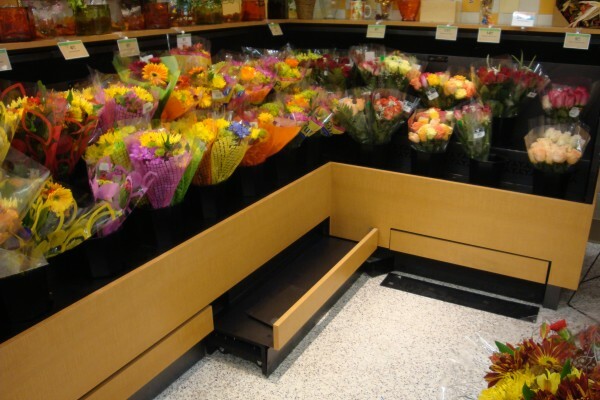 Borgen’s innovations are often inspired by our clients’ needs, and the low profile pull-out case is no exception. 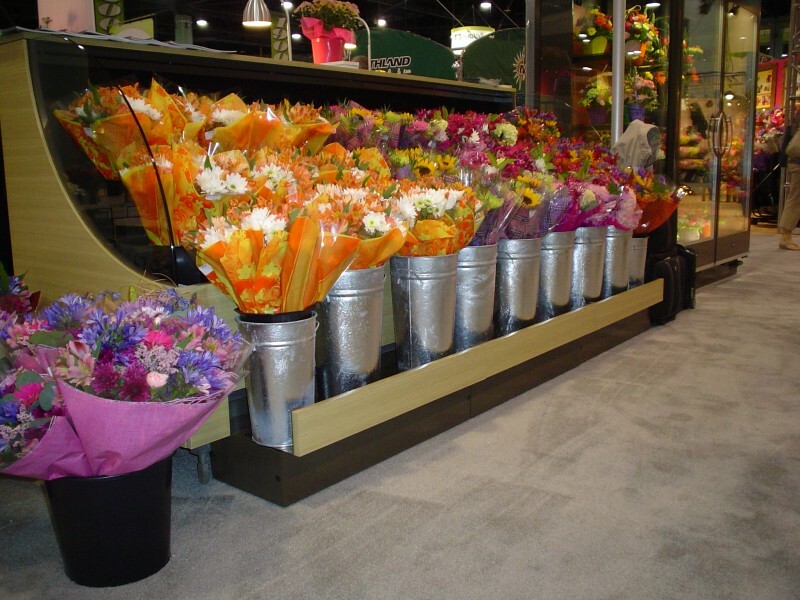 This case is designed to expand capacity by one third, making it ideal for holidays like Valentine’s Day and Mother’s Day when floral displays are at their prime. 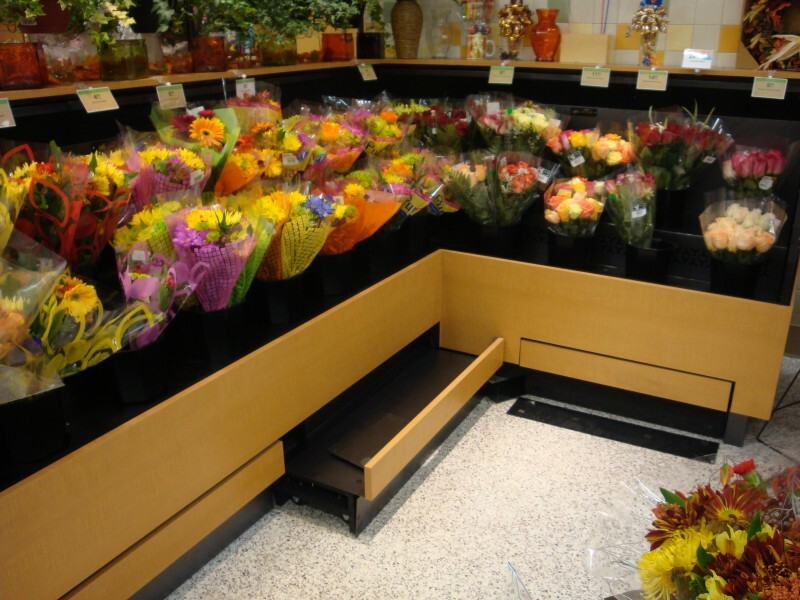 The drawer easily glides out to make room for additional flower arrangements, showcased in custom vases that are also designed by Borgen. 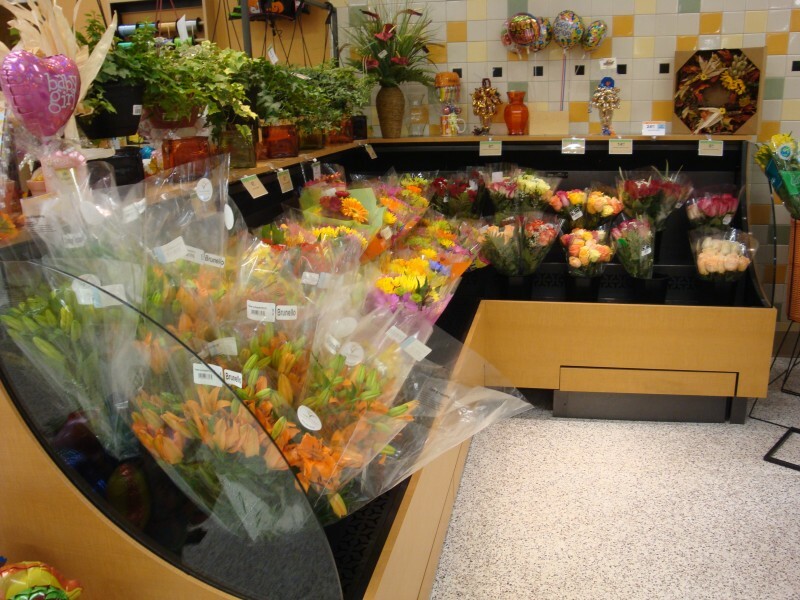 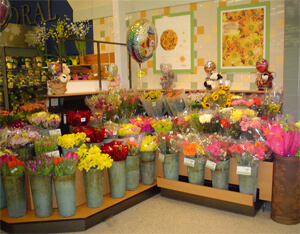 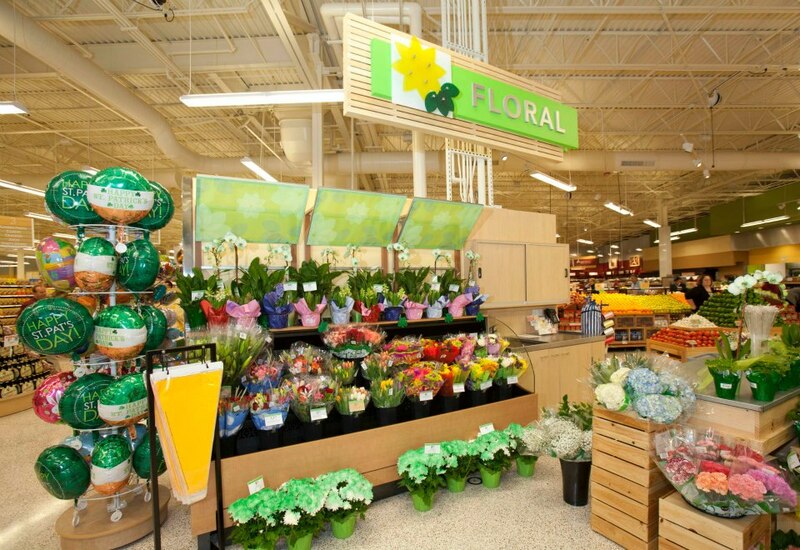 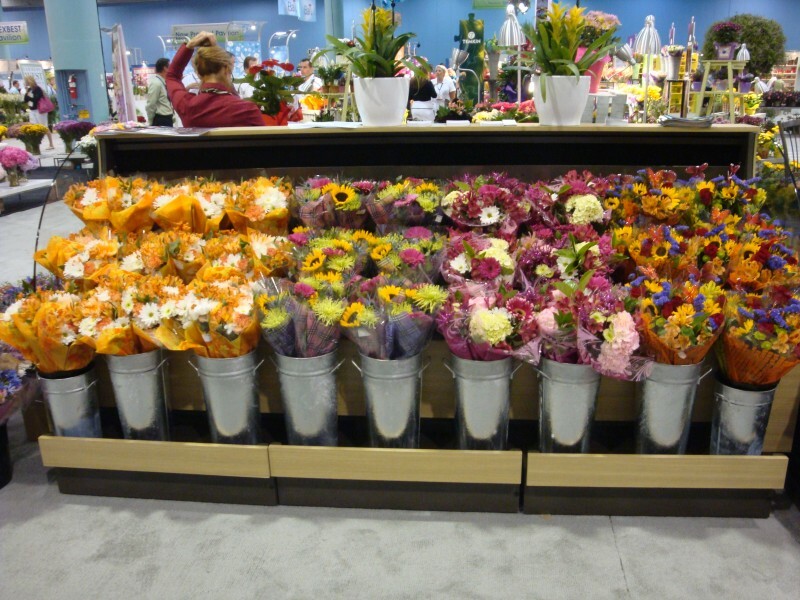 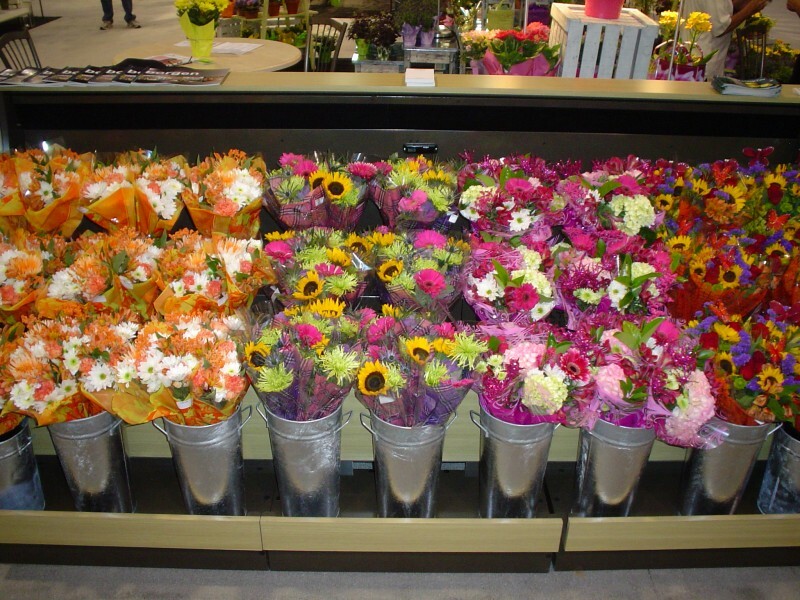 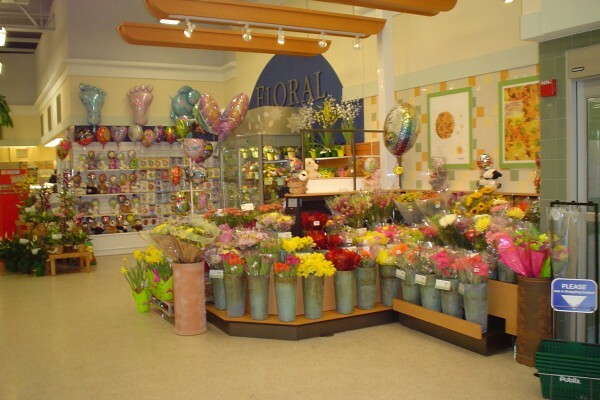 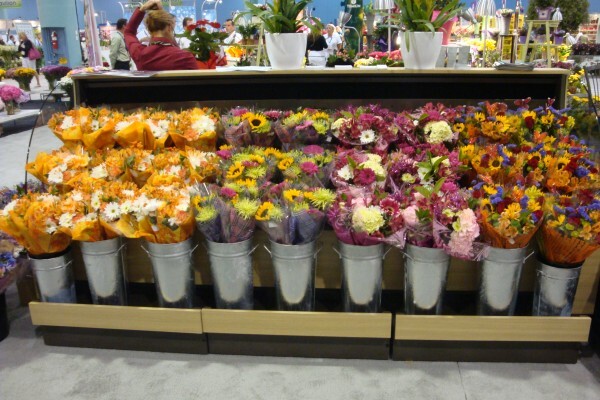 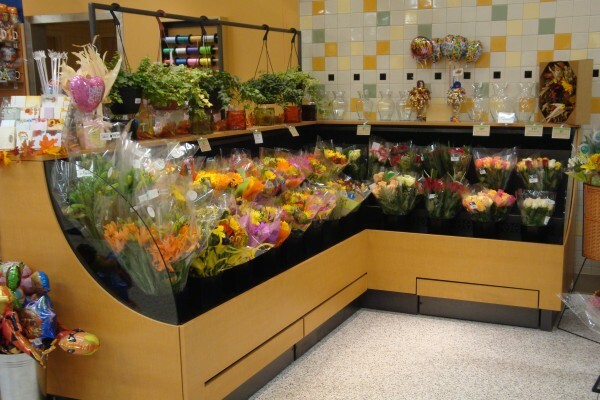 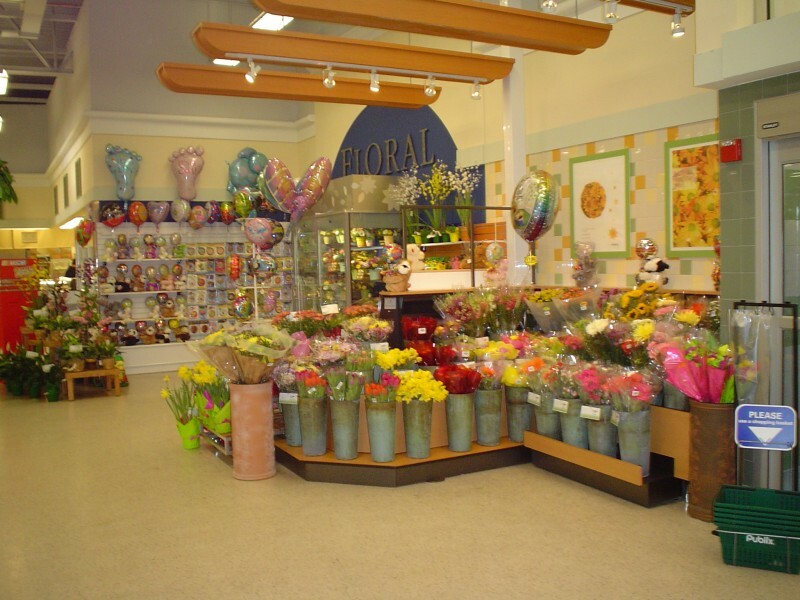 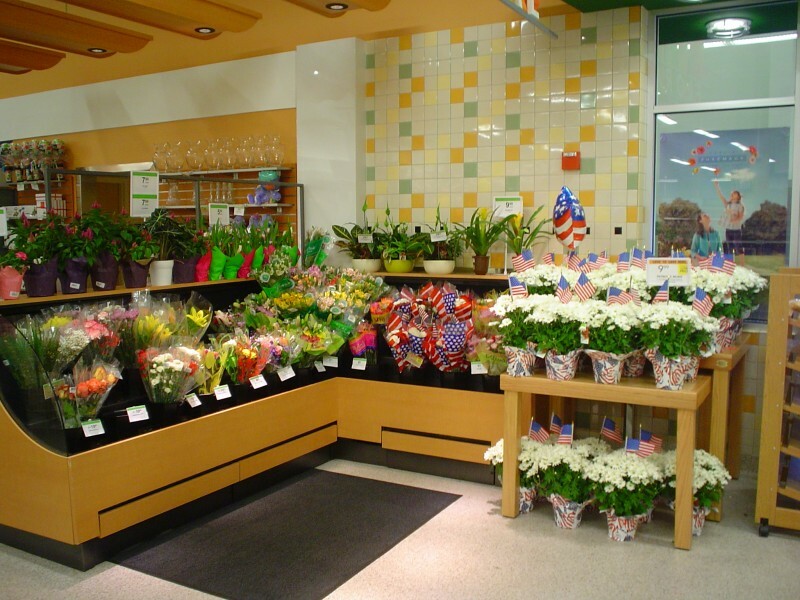 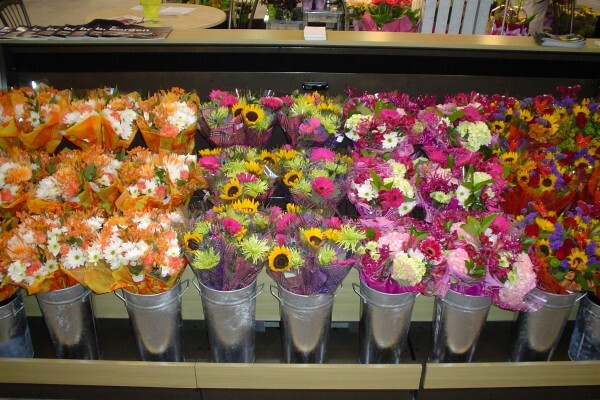 As customers purchase product, the flowers can be rearranged and the drawer quickly tucked in to maintain the fullness and beauty of the display. 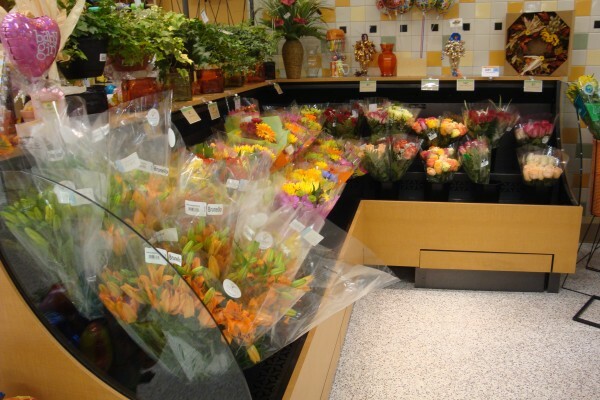 The visual appeal coupled with the open low profile design ensure there are no obstacles between consumers and products, which provides a pleasant shopping experience and encourages customer engagement. 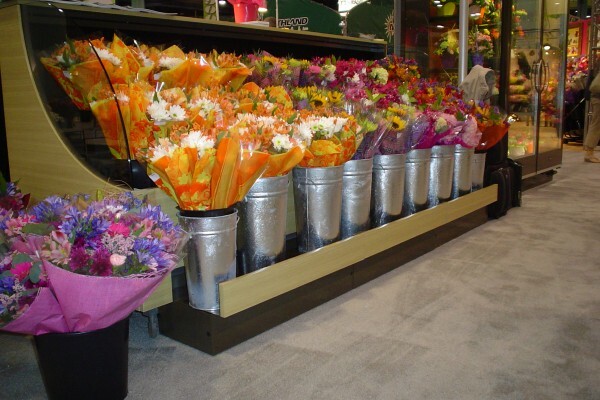 What began as a custom floral display for a major retailer is now one of many diverse display cases perfect for retailers of all sizes. 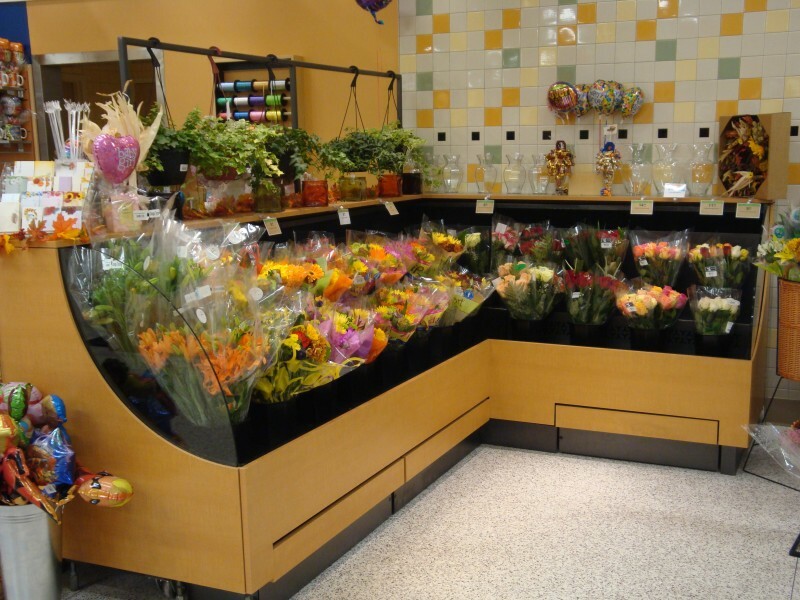 Standard case drawings below – contact your sales rep to discuss a customized case to suit your space.